February 21, 2012 – When the March 11 tsunami struck last year, Kenyuu Shimizu’s father lost all of his fish processing factories in their hometown of Kesennuma in northeastern Japan. Nearly a year later, with his father rebuilding his business, Shimizu joined 50 other Japanese university students in a business plan competition focused on rebuilding the disaster-stricken Tohoku region. The Tokyo American Center partnered with the Keio University Shonan Fujisawa Campus (SFC) Innovation & Entrepreneurship Platform Research Consortium and the Keio Research Institute at SFC held the entrepreneurship seminar and business contest event on February 8-10 in Kanagawa and Tokyo, with the support of the TOMODACHI Initiative. Ten universities in twelve teams participated, with half of the students coming from Tohoku and Hokkaido. The event was the culmination of months of preparation by the student teams to come up with the best business plans they could. The three-day program consisted of seminars with real entrepreneurs and a venture capitalist, followed by workshops where students working together in teams engaged with mentors to refine their ideas. Eight groups with the top business plans presented their proposals to a panel of judges from the private sector and academia. The judges evaluated the plans and awarded prizes based on such criteria as innovativeness, achievability, and potential impact on post-March 11 recovery efforts. 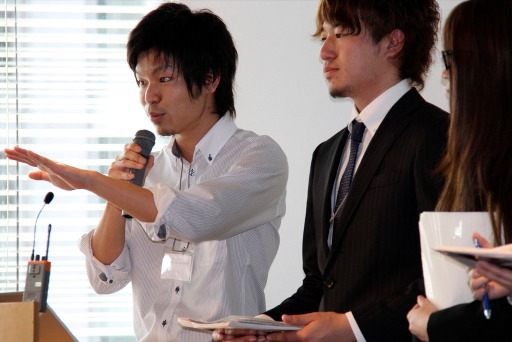 Takuya Kitazawa, a computer science and engineering student from the University of Aizu in western Fukushima prefecture, saw the opportunity to apply his background in information technology to contribute to economic reconstruction. Students experienced the excitement of developing new ideas for businesses and programs, but also learned about the challenges of turning them into reality and the skills needed to be successful. Kenyuu Shimizu’s team from Keio University, Shonan Fujisawa Campus developed an idea to better connect entrepreneurs, venture capitalists, mentors and universities together to help develop businesses and technologies in Kesennuma. He had been mulling over the idea even before the business plan competition, but did not know how it could be realized. The seminar helped him to understand the difficulties in establishing such an initiative. 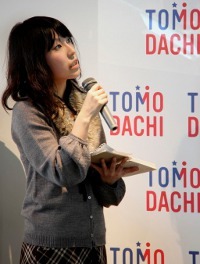 Funano’s teammate Aya Kato was not originally interested in entrepreneurship, but developed an appreciation for what young people can realize through their own initiative. Kato gained new perspectives from participating in the contest and three day seminar. “I learned to be proactive and to be willing to act to realize one’s dreams,” said Kato. After the presentation of the top business plans, a team from Aichi Gakuin University won the award for regional contribution with their proposal for starting a housework services business in the northern part of the affected Minamisanriku Town while manufacturing “eco-bricks” for reconstruction in the south, using soil that was salinated by the tsunami. The group estimated that they could potentially create 1,500 jobs for the people of Minamisanriku Town. 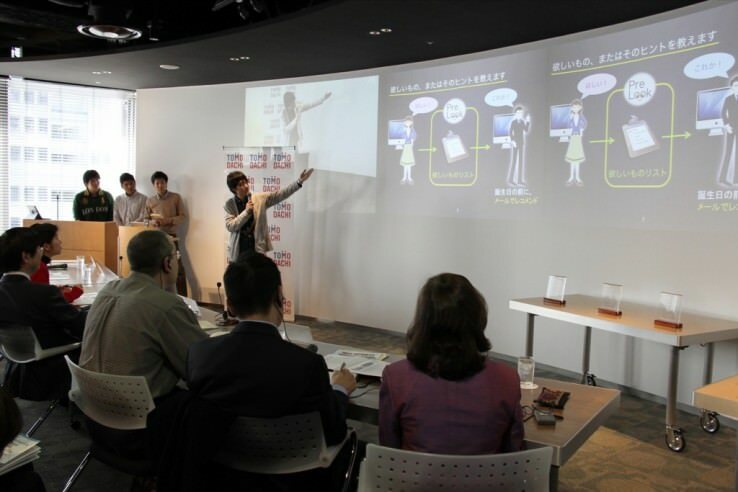 The team from the University of Aizu won the award for most innovative proposal for a website that would help customers purchase gifts based on analysis of the recipient’s Facebook page to create a wish list, and provide up-to-date pricing information on products. A portion of the profits would go to Tohoku relief efforts. A third group from Ishinomaki Senshu University in Miyagi Prefecture won the actualization award for their proposal for a baby goods sharing system on the web for the affected Tohoku region. “Seeing so many young, engaged students makes me feel very optimistic about the future of Japan,” said Michael Alfant, President of the American Chamber of Commerce in Japan and one of the judges. Another judge, Dr. Michi Fukushima, Associate Professor at the Graduate School of Economics and Management at Tohoku University, urged students to continue developing their entrepreneurial skills and apply them to the economic redevelopment of the disaster-hit area. Motivated students now have the opportunity to implement their business plans with help from the mentors they met at the event.